We hope you like our great packages and stunning photos; but to help in your decision making process please find below some frequently asked questions by wedding couples. How do you operate on the day? I've been a guest at weddings where instead of it being the happy couples special day, it almost became the photographers big day!! My philosophy is simple - this is your day, not mine. We will discuss exactly what you want from your photography. Apart from any formal group shots of family and friends that YOU want, my style is very much of blending into the background, getting those lovely natural looking, candid shots as the day unfolds. Many people have commented that they had forgotten that I was there, but the results were just brilliant. Do we get an Album containing the photographs of our choice? Yes - Unlike many other Nottingham photographers who charge extra for an Album, all our Packages (except the Midweek Package ) can include an album in the price - All the albums are UK made, book-bound Wedding Albums, containing your choice of professionally printed photographs, all individually mounted. We are based in Nottingham and cover Nottinghamshire, Derbyshire, Leicestershire and the East Midlands. We are happy to travel, so just give us a call and we can quickly agree any travel costs if necessary. Can we book an extra hours coverage? Not a problem - extra hours can be added to any package if you require. Each additional hour is charged at just £100 an hour. To secure the date and book us for your special day, then we just require a £99 deposit. This payment can be made in cash, bank transfer or by cheque. Contact us for more details. Unlike some companies, we do not require large deposits or payment in full up front. 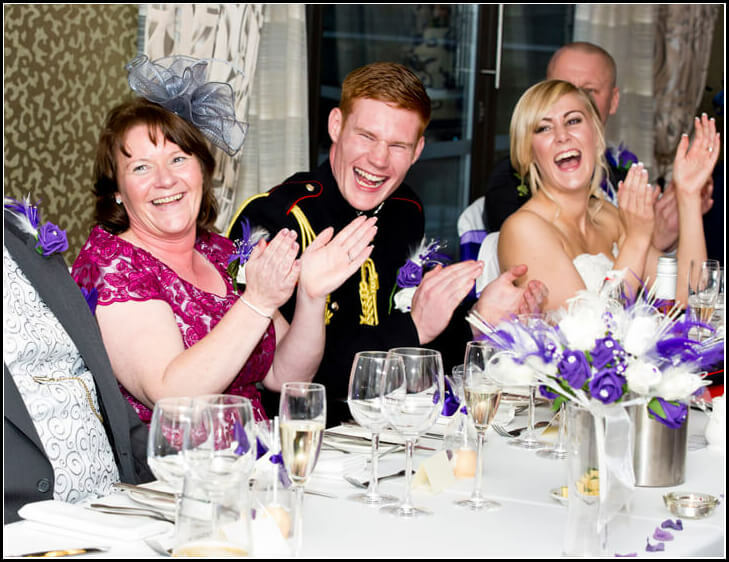 Just £99 deposit secures your booking, we then require 75% of the outstanding balance four weeks before your wedding, the remaining balance is not payable until you receive your photographs after the wedding. c) £80 final payment on delivery of your wedding album or "Heart USB"
Can we have some Black & White, Misty Border, Selective Colour photos? Yes - During the editing stage, we will produce images in black & white or misty surround etc where we feel they are appropriate. These will normally go on your selection slideshow alongside the full colour version. You can then decide which you prefer. 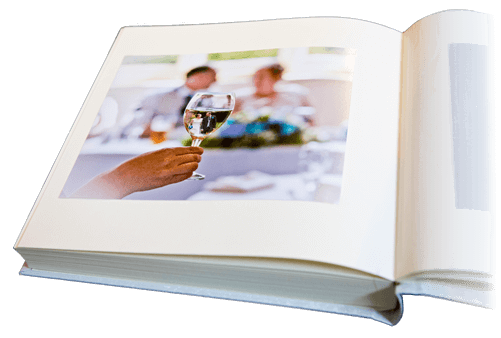 This will vary with each wedding, but for example, a Bronze Package could easily result in 250+ photos for you to choose from from your album. Whereas a Silver Package (8 hour attendance) will normally produce a selection slideshow containing upwards of 400 to choose from. Unlike some photographers, we do not put an upper limit on the number of photographs presented to the client; so the happier you and your guests are to be in-front of the camera, the more photos you will get! We've seen one of your images we really like - can you repoduce it for us? We will certainly try - no problem. Do however note that your "Style" of wedding, venue type, time of year, lighting etc. will have a large bearing on the final look of your photographs. P.S. 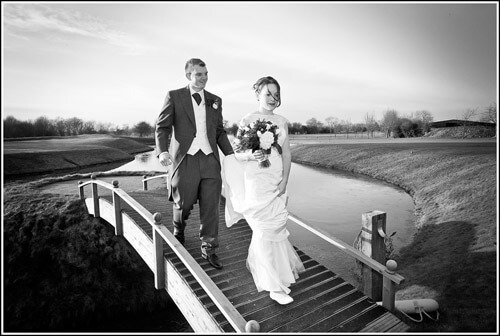 Unlike some photographers, ALL the photographs you see on this website were taken by us during REAL weddings, not stylised photo shoots incorporating models, special locations and lighting! Will we receive every photograph taken on the day? Many photographers will put an upper limit on the number of photos they will provide; but we will provide you with as many usable photos as possible. However, because a wedding is a "real-time" event, there are some photographs that simply don't work for a variety of reasons, e.g. someone walks in between the camera and the subject just as the shutter is released! In addition, multiple shots of some scenes maybe taken (e.g. multiple shots of the same wedding group), in these cases we may only present the best one to you to avoid unnecessary duplication. Rest assured you will receive as many photographs as possible, but this will not be every single photograph taken on the day. Can we have the unedited photographs? We only supply edited, high resolution photographs to you; either as prints in your wedding album and / or digital images on DVD or USB. This is no different to a musician or author only wanting you to experience their finished work, not their work in progress. Do you require us to provide you with a meal? No - I do not expect you to provide me with food - I'm there to work! Can you supply Parent Albums? Yes, Parent Wedding Albums are available for just £115 each. The front cover will say either "Our Sons Wedding" or "Our Daughters Wedding". Our GOLD package includes these two albums in the price. I'm sure you don't really care! but I am actually a Canon Professional, using Full-Frame camera bodies (5d3 and 5d4) plus top of the range Canon "L" series Lenes. We're just starting the planning process - do you have any practical advice? Yes, we have a page on our web site devoted to "Planning a Wedding" - Click Here to take you to the practical wedding advice page. 07532 458 689 at any time. 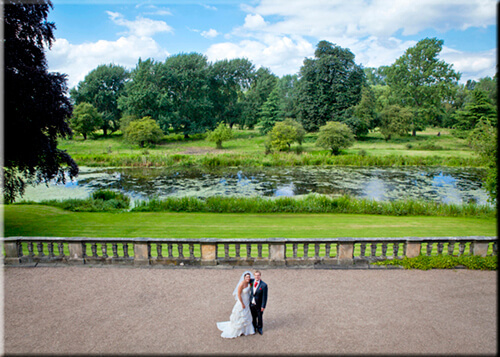 PS) Check out comments from previous Nottingham couples on the Review Page!